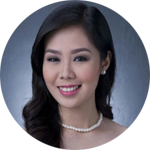 Lynnel is a BSBA Major in Internal Auditing from the Philippines with a great passion in internal audit. Failed Part 1 once, she passed Part 1 and 2 together 3 months later. She also passed Part 3 on her first try. Lynnel tells us about herself and her passion in internal audit. It’s this passion that keeps her on track after failing her first attempt in Part 1. Lynnel talks about her first internal audit job, on how she was able to get the job and how she improved the auditing skills under the guidance of her supervisor and colleagues. After failing Part 1, she felt that her plan was shattered. Yet she was able to contemplate and made some realizations why she didn’t make it. Lynnel wanted to share how she was able to overcome failure. She also shares some ideas how she had gained her motivation back and to never give up her plans. 5. Interview for Audit Position: Do People Care about Ethics? Lynnel told us about her recent interview for an audit position. Everything went well but she said no to the offer because of ethics issues. She shares her study and review techniques on this post, with some effective ways and strategies that work well for her and might be helpful to other as well. 7. Passed CIA Exam Part 1 and Part 2 Together! Finally, with new strategies and hard work, Lynnel passed both Part 1 and Part 2 on the same day. Please find her thoughts and experience in this post. You will find many CIA exam preparation ideas in this post. Lynnel provides a summary on the materials, the notes and the practice test which can also be helpful for everyone. Based on her recent experience, Lynnel analyzes Part 1 and 2 of the exam in terms of similarities, differences and difficulty, as well as tips on how to prepare both exams. Lynnel shares her study techniques for Part 3. She also talks about the effective strategies to prepare well for this exam. So far, preparing for Part 3 is harder than that for Part 1 and Part 2. She admitted that the struggle is real. Yet she shares her journey how she is able to beat the challenges along the way. 12. Internal Audit Practitioner Program: Worth it or Not? Lynnel introduces to us the Internal Audit Practitioner program, and the pros and cons of getting this IA practitioner badge. 13. Which is Better: Audit Firm or Private Company? Lynnel talks about the preferences of accounting graduates to work whether in an auditing firm or a private company. Lynnel shared how she was progressing on her second and third week of studying. She also talked about her study material and how she was able to manage her time. Lynnel this time wrote about her week 4 and 5 study progress. She also admitted that it was the hardest and most challenging part of the review since it covers mostly IT topics. She is now on her final week of her study process. She discussed about the topics covered and gave some ideas on each and how she dealt with them. 17. Almost ready for CIA Part 3! After about six weeks of her study process, Lynnel is now ready for the CIA Part 3 exam. She also shared some helpful study tips here. Lynnel is generous enough to share about the new study techniques that she found. She talked about 3 important tips on how to improve memorization. 19. Passing CIA Exam Part 3 First time! Lynnel’s hard work in studying paid off. She passed the CIA Exam Part 3. She then pointed out some of the things that she did during the exam which might have helped her make it. After passing the exam, Lynnel some of the helpful steps that she actually did a few weeks before the exam. She is hoping that it will help others to pass too. 21. How did I Passed Part 3 First Time? Lynnel created a formula to explain how she passed the exam on her first try. She explained how each part of the formula helped her become well prepared to take and pass the exam. Lynnel shared how she spent her time after the exam — relaxing, spending time with family and friends, and planning for her next move. An introduction to the CCSA certification, how this compares to the Certified Internal Auditor, and whether it makes sense for Lynnel’s career. Another introduction to an IIA specialty certification, this time on CRMA, and the benefits of taking this as a CIA certification holder. Check out the experience of fellow readers / candidates around the world! Lynnel is a recent graduate, with a BSBA Major in Internal Auditing in the Philippines. Lynnel passed Part 1 and 2 on the same day, and Part 3 on her first attempt. San po mkakakuha ng mga free materials for cia exam preparation.Thank you po and congratulations. How much in total did you pay for the overall cost of gaining the CIA designation? Congrats! Lynnel isn’t a regular blogging anymore, but you can learn more about the average CIA exam fees.